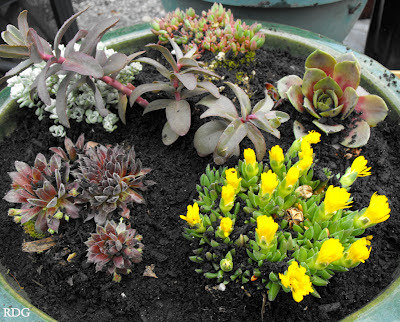 I was inspired by Alison over at Bonnie Lassie to create for myself a decorative bowl of sedum and succulent plants. I admire plants that can withstand the summer sun and still look great with out a lot of water. Sedum also makes an attractive ground cover with low maintenance and water requirements. A few weeks ago, I had a spare two hours. (Yes, crazy, at this point in life, I can only count my spare time in hours.) So, what to do, where to go? My local garden shop of course! No kids hanging on my arm in boredom or worse, skipping through the tidy isles of plants, kicking up dirt and causing all sorts of havoc! I wandered the grounds in leisurely style, admiring all sorts of plants I normally miss in my haste with kids in tow. After purchasing more blueberries and a beautiful currant, I found myself studying the sedum row and thinking about how I could justify a purchase. Ah ha! Mother's Day! Just the ticket. I came home with all the perfect ingredients. A pretty ceramic pot, (one that's not too deep as I mean this to be a table top display), plants and decorative rock for the topping. 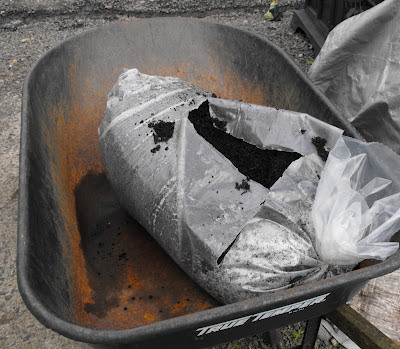 I also purchase potting soil at my local garden store. The quality is massively improved upon the big name brands and I'm support my local garden shop. 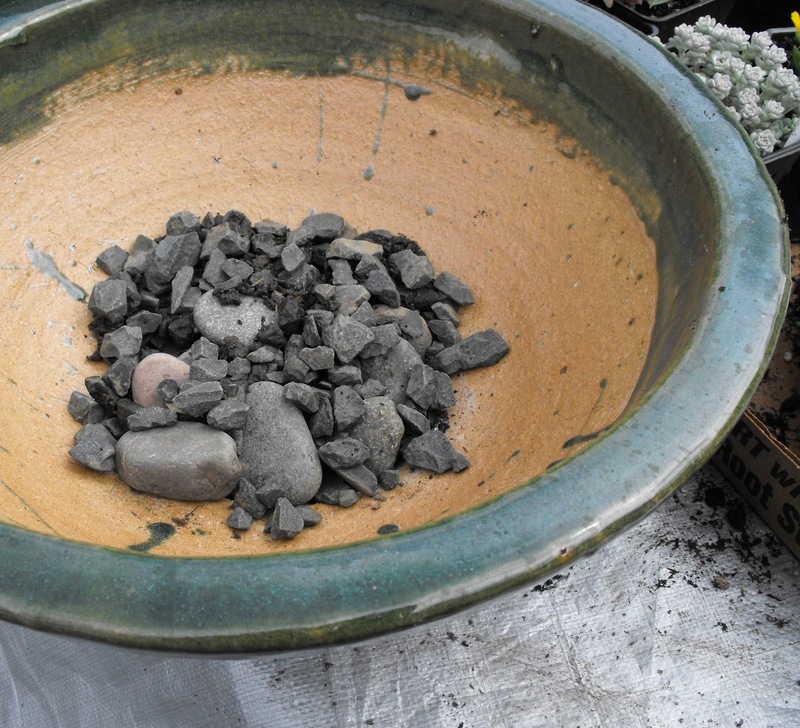 Next, I put some gravel / rock at the bottom of the bowl so that my nice potting soil doesn't drain away. 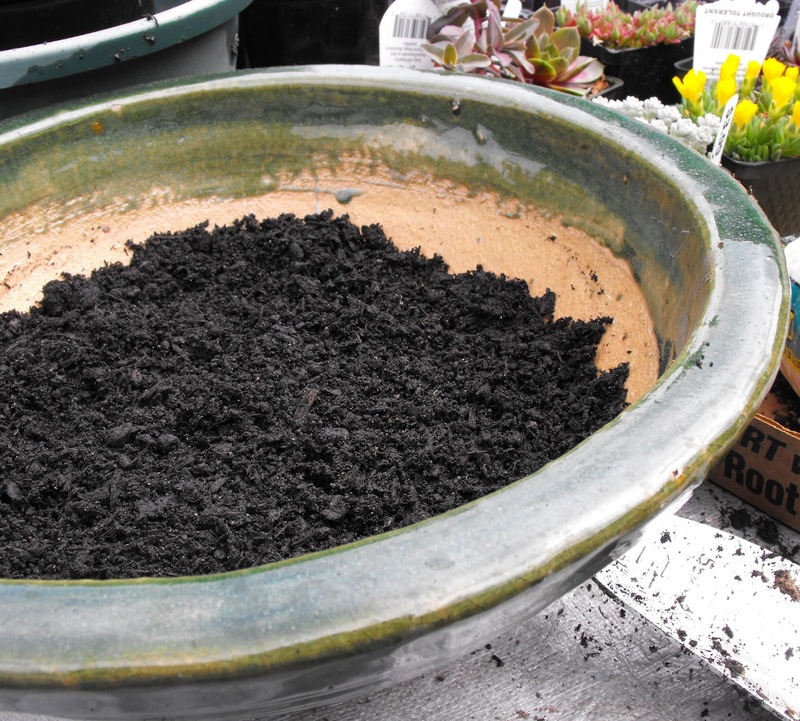 Next I filled up the pot half way with potting soil. 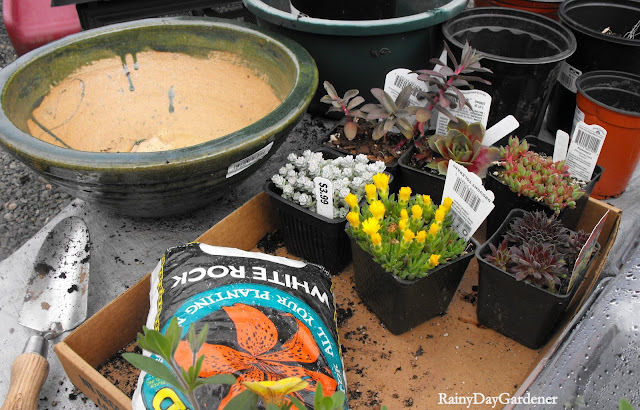 I carefully took out the plants from their nursery pots by taking the pots from the bottom and gently squeezing until they come loose. Then, I practiced arranging my plants until I was happy with the flow of color and height. Next, I filled in around the plants with the potting soil, pressing down on the soil to firmly secure the plants. I left about an inch between the top of the soil and the rim of the pot for my final step. I also created depressions between the plants for the water to gather. I gently brushed off the soil from the plants as they are quite fragile and finished with my last step of adding decorative rock to the top. I'll be thrilled when my pretty plants grow and eventually drape over the sides of the bowl. I envision this pot sitting in the center of my outdoor table, enchanting guests over a good Portland micro brew (or cider in my case) on a warm summer's eve. Happy Mother's Day Jenni! That turned out beautiful, and I'm so happy to have been an inspiration to you. The silvery plant looks like a 'Cape Blanco' sedum. I love ice plants too! Thanks for the identification Alison, that plant tag didn't appear to make it home with me. Thanks too for the original inspiration!! Looks beautiful. I use old dryer sheets to put in the bottom of containers, lighter than rock. Happy Mother's Day to you too Alica! You have Mothers' Day at a different time to us so enjoy. I love the textures and shapes on sedum and sempervivum,. I've also seen them growing on a living roof of a shed. I love the white rocks! It looks great already. The finished product looks fantastic! I'll have to put this on my list of things-to-try. Your container planted up looks lovely! 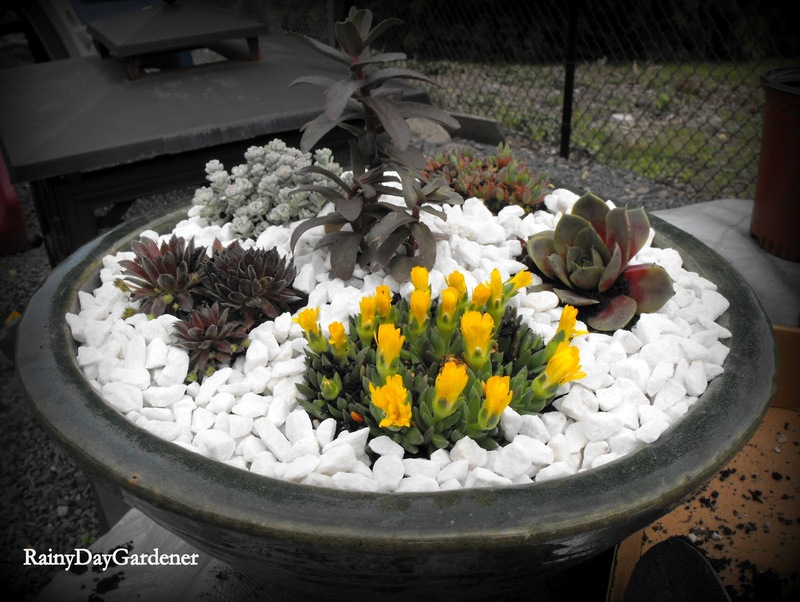 I really like how the white stones make the plants and pot stand out.